Oil production into the sea from above. 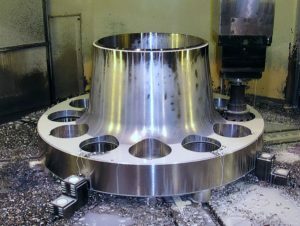 Whether manufacturing equipment for oil/gas drilling, mining, or heavy construction, large parts machined for these industries must perform effectively and safely under extreme conditions. This often requires the kind of customized CNC machining solutions where Pilsen offers specialized expertise for applications with large work envelopes. Pilsen understands these requirements because we’ve done it before. In short, you need machining equipment that offers accuracy, consistency, speed and reliability. Pilsen carries CNC machines that do all of this and more. For deep-hole drilling, your components have to be perfect. Misaligned parts lead to broken machines, waiting for repairs, and loss of time and money. Not only do they hurt your bottom line, but a malfunctioning machine puts your workers at great risk. Replacing or repairing mining components is a big deal. When equipment fails, every hour that passes is detrimental to the bottom line and increases the danger to the mining staff. And your mining and extraction components can be extremely complicated, sometimes requiring additional secondary services. A machining system from Pilsen can ensure absolute accuracy when creating replacement components, and often create the part faster than any other machine. We also help with installation and training to assist your manufacturing crew to use your machine to its maximum potential. See how we helped Leibherr Mining expand their manufacturing capabilities. 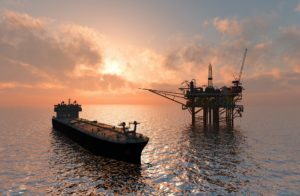 Pilsen has the right machining solution for your oil/gas or mining application. Please use the online request form below to tell us about your machining requirements.